Day 4 saw us up bright and early – well, early, but probably not too bright. The reason for the early start was that we had a lot of ground to cover. We were travelling from Jerusalem to Tiberias on the Lake of Galilee, via Masada, Qumran and a quick dip in the Dead Sea. After a trek through the impressive, but somewhat featureless desert to the East of Jerusalem, we arrived at Masada. Masada means ‘rocky promontory’ and this particular ‘Masada’ had a rather civilised cable car to take us to the top. That didn’t stop some of the more adventurous members of the group from walking up the ‘Snake Path’ – presumably so-called because it snakes up the 400-odd metres of precipitous cliff-face to reach the top. The top of Masada is more or less flat and is home to various ruins. Even at this height it is only 33 metres above sea level. Its primary attraction lies in the history of those ruins. At one end of Masada lie the multi-tiered remains of Herod’s Palace (one of many dotted around the country). As a country retreat for a rich and famous despot it has few equals. That Herod is the Herod the Great of Biblical fame, although there had been fortifications on the site from around the 2nd century BC. But what makes the place so famous is that it was also the site of a 2-year siege. After Herod’s death, Masada was used by the Romans, but in 66AD it was captured by the Jews in their first revolt against the Romans. The Romans first dealt with the Jews in Jerusalem (resulting in the destruction of the Temple in 70AD) then turned their attention to the remnants. Held by fewer than 100 defenders, Masada held out for 2 years under siege, finally succumbing in 73AD. The Romans breached the wall by building a massive earthen siege ramp on the western side. According to Josephus, the Jewish historian, the remaining Jewish defenders, rather than be killed by the Romans, chose to commit suicide after first dispatching their own family members. The oath, “Masada shall not fall again” is part of the swearing-in oaths of the present-day Israeli army. Kind of sums up so much, really, and is a remider of just how much history influences a culture and people. Qumran was the next stop. Despite its somewhat unassuming and even bleak appearance, Qumran is probably one of the most significant sites in the history of Biblical studies. 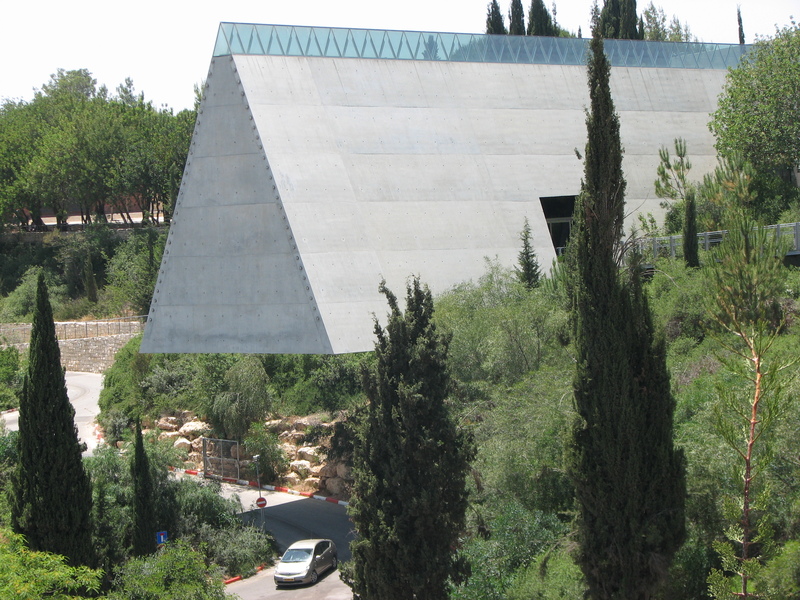 It is where the Dead Sea Scrolls were discovered. Useful not just for their confirmation of ancient Biblical texts, but significant for the differences they contain, the scrolls were under the safe-keeping of and Essene community – a community which lived by a ‘rule’, not dissimilar to the way communities of monks would live. Property was shared and other distinctive ‘rules’ were followed. Again, like later monastic traditions, not all such communities followed the same set of rules and differences existed. The focus on communal living and care for one another has given rise to speculation that Jesus’ teachings were widely influenced by such ‘rules’, but there is no great evidence to support that and Jesus’ teachings contain significant deviances from what is known of the Essenes. Perhaps a greater link could be made to another Biblical character – John the Baptist. Again, though, it is more a matter of speculation than any hard evidence existing. The two sites are visually stunning. Sitting in a desert land, it isn’t hard to imagine how difficult life might be at particular times of the year. Being at the mercy of the life-giving rains meant that Masada, in particular, had some ingenious water storage schemes. The heat is intense, perhaps because of the land sitting below sea level. When you consider settlements like Qumran then it may have been only sensible to ensure such communal-living was ‘formalised’. It ensured that the community was equally supported from the resources available. And the presence of so many scrolls indicates that the community was far from primitive. Life may have been harsh and even basic, but the community was no illiterate bunch of savages. This was an educated and dedicated group of people who understood the significance of the manuscripts they had in their possession. The day also included the somewhat bizarre experience of going for a swim in the Dead Sea. Actually, swimming is not recommended. The very high levels of salts makes the water extremely unpleasant if you get any near your mouth, but that same dense solution means that you bob around in a most strange manner. You can practically sit on the stuff. Still, it made the swim in the Pool at the Scots’ Hotel in Tiberias all the more welcome when we eventually arrived. A visit to Hebron was never going to be an easy one. It epitomises, in many respects, the key issues for Israel and Palestine. 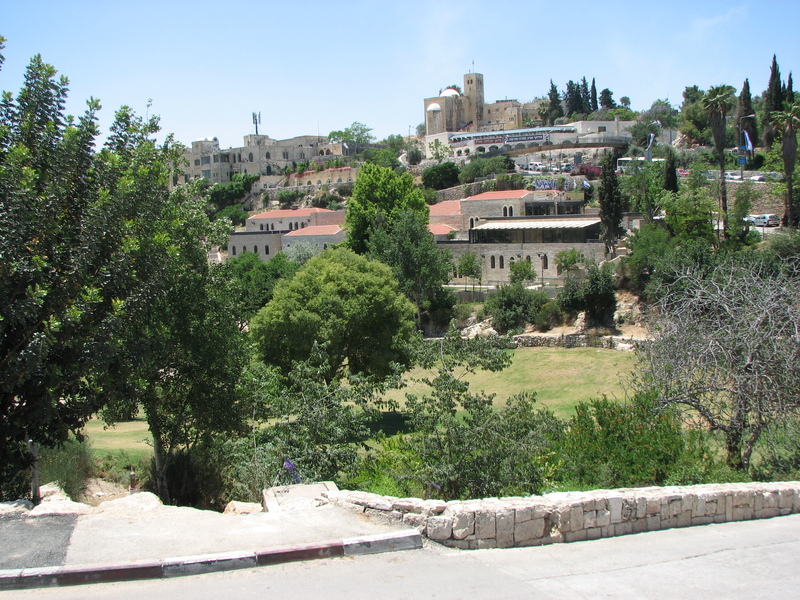 Hebron is a fair sized city, predominantly Palestinian, about 25 miles south of Jerusalem. It is one of the most densely populated in the west Bank and is divided into two areas, the larger under the control of the Palestinians. But within this zone there are a number of Jewish settlements under military protection. There are approximately 500 settlers, with a military force of between 500 and 2000 soldiers (depending on tension levels). This within an area housing 30000 Palestinians. The settlement areas highlight the imbalance of power. It is the Palestinians who are prevented from particular areas, including some of the main roads. Access to their houses is through dirt tracks and neighbours gardens. A Palestinian brave enough to take to the main road risks being shot – it is easier to minimise the ‘risk’ by assuming everyone is potentially hostile and to shoot first. There are no questions later – it’s military law in force. In fact, even the Jewish settlers go around openly and well-armed. As we wandered down a deserted street, the Palestinian shops all closed and unoccupied because it is a no-go street for them, we were brought up short by the distant sound of gunfire, followed soon afterwards by the unmistakable sound of an ordnance explosion. Our guide for the day reckoned it was probably from the nearby military barracks as the tension levels were low at the time. Our walk through that part of Hebron was to take us to the Tomb of the Patriarchs. The site of the tombs of Abraham (and his wife Sarah) and his descendants Isaac and Jacob. As we approached a checkpoint nearby we noted that the road was divided (unevenly) by a concrete barrier. Jews were allowed to use the broader lane, wide enough for cars; Palestinians had to use the narrower side. We opted to walk on the Palestinian side and also chose the mosque side of the Tomb of the Patriarchs. A single building covers the site, but it is split in half – one side a mosque, the other a synagogue. In one sense, completely understandable given the common reverence for the Patriarchs. Yet the irony was not lost on us. Having visited the mosque, where we were made welcome, visiting the synagogue was not an option. Again, we had made our choice. Our route back to the city centre took us through a souk and the picture above is one part of it. The wire mesh is not a convenience for hanging things from, but an absolute necessity. The buildings above are part of the Jewish settlements and it is common for the settlers to throw their rubbish and rocks down into the souk. Such is their contempt for those who do business there. Our guide for the morning was a young woman volunteering with EAPPI – a World Council of Churches initiative to help and highlight what is happening around such settlements. The volunteers serve for 3 months and there job is simply to observe the checkpoints. It seems that the Israeli military is somewhat less inclined to be so oppressive when there are international observers with cameras around. It doesn’t mean that EAPPI, and the many similar groups, don’t get harassed themselves, but it does help the overall situation. The afternoon brought us to Bethlehem. If there’s one thing about the Holy Land, it’s that if there is the hint of a ‘holy’ site, there’ll be a place of worship on top of it. But there are also the commercial opportunities to be had. I have to say that Bethlehem seemed to have some of the most tackily named tourist shops we have come across so far. John the Baptist Souvenir Shop or the Christmas Bells restaurant, every opportunity is grasped to link with the relevant site. I can’t help but wonder though if the heavily-pregnant Mary might have found the going easier if there were escalators to hand to get her to the stable room.